These Sterling Silver Claddagh Crown Love Heart Band Rings Are Stylish & Unique ! These sterling silver rings feature a smooth polished surface and a stunning Irish Claddagh Friendship Heart design that is modern. Constructed of sterling silver these rings are built to last. This ring is available in the full sizes and half sizes of 5, 5.5, 6, 6.5, 7, 7.5, 8, 8.5, 9, 9.5 10, 10.5, 11, 11.5 , 12, 12 1/2 and 13. 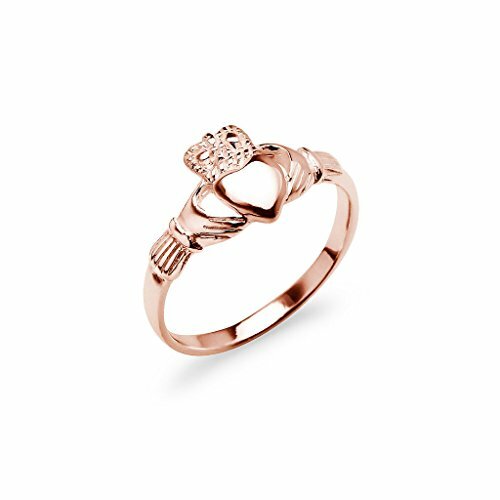 Claddagh Band Ring: This sterling silver ring features a beautiful Claddagh Friendship Love Heart design. This makes a perfect gift as a friendship ring, promise ring and birthday present! Free Jewelry Gift Pouch with your purchase from Nine2Five! If you have any questions about this product by Nine2Five, contact us by completing and submitting the form below. If you are looking for a specif part number, please include it with your message.